Unicode! Supports a wide range of characters. Not limited to English-only. Returns true if Initialise actions have been executed and DRPC is running. You should use this if there is more than one chance you can initialise DRPC. 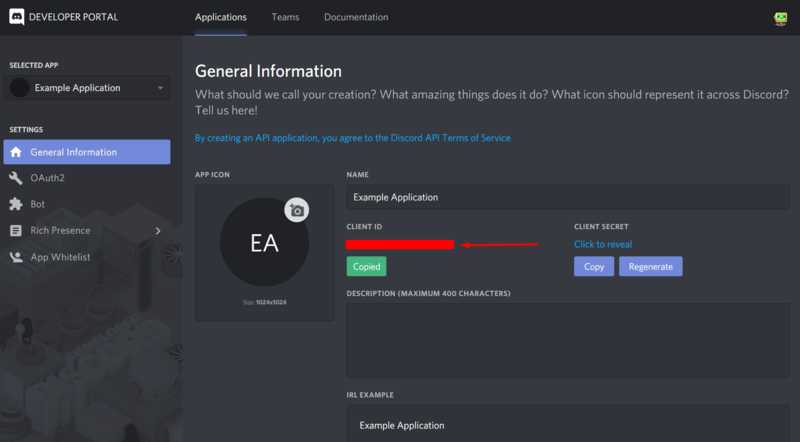 Returns true if extension is connected with the Discord Client. You should check for this before sending Presence Updates. Triggered when an error has been encountered. Returns error information. Both Fusion-made errors and DRPC errors are reported here. Triggered when DRPC is ready to receive Presence Updates. Triggered when DRPC lost connection to the internet or Discord Client. Triggered on successfully joining another user's game, either through ask to join or game invite. Returns On Join Secret. You should use the Join Secret to determine how this player is going to connect to the other player's game. With Lacewing, this can be a string containing the server IP and/or channel. Similar to On Join Button click/Request success, but the user spectates what the user is currently doing. Returns On Spectate Secret. You should use the Spectate Secret to determine how this player is going to connect to the other player's game. With Lacewing, this can be a string containing the server IP and/or channel. Starts up DRPC. Due to it needing to connect with the client, it will not instantly trigger On Ready. Safely turn off DRPC. Call this when you are about to close the application. Actions related to presence data. This will be used to determine what is displayed on the player's status. Additionally, if they can invite other users or let them spectate. Sets the first line in presence, the details. e.g. "Currently in game" or "In main menu"
Sets the second line in presence, the state. e.g. "Forming Group" or "In Group", the size of the party will be to the right of the state. Turns the "Elapsed/Remaining" time line visible and sets the current elapsed time to the given seconds. The time will increment by itself from this point onward. Turns the "Elapsed/Remaining" time line visible and sets the current remaining time to the given seconds. The time will decrement by itself from this point onward. Sets text that appears upon hovering the mouse cursor on the large image. Sets text that appears upon hovering the mouse cursor on the small image. Set the Unique string for this party. A party/group is used to determine who should be displayed in the invite link card. Sets how many slots in a party/group are taken. Sets the maximum amount of slots there is in a party/group. The invite link will be unavailable if all slots are taken. Sets the secret the current player gives out to other players (Through invite or ask to join) to join their game. Sets the secret other players get when they click to spectate the current player. Resets all current data to defaults (Nothing displayed). Sends all current data to the Discord Client. Note: Updates are sent every 15 seconds. If you send more frequently than 15 seconds, updates will queue up and send much later. Actions related to other players asking to join the current player. Ignore the request. Use this action if the player did not pick any within the time the prompt was available. Note: This options defaults after 30 seconds. Anything set using actions will not be included here. Returns the error code from DRPC. Fusion-made errors have no code. Returns details of what happened wrong. Returns the ID of the user that made the join request to this player. Returns the name of the user that made the join request to this player. Returns the discriminator (4 numbers) of the user that made the join request to this player. Returns the URL that locates the avatar of the user that made the join request to this player. You will need to make your own download events to use this in-game. Returns the secret that the current player received on the On Join event. Returns the secret that the current player received on the On Spectate event. It's huge and it's free.thanks!! Petit test avec l extension sur le jeux TILES vraiment rien a dit et très simple d’utilisation. little test with the extension on the game TILES really nothing said and very easy to use. Where I can download the zip file at "Unpack zip download into your Clickteam Fusion 2.5 Folder"
Hey, for some reason, i can't send rich presence updates when i change the current frame, the only way i can make it work is add the "Shutdown" action before the "Jump to frame" action. When will it be downloadable? I haven't been able to get it for a while. Tri, please come back to discord! How to detect the presence or lack of an array file used for saved games? All times are GMT. The time now is 07:27 AM.